INDIANAPOLIS, Ind. – Andretti Autosport Short Track announces its newest primary associate partner for the 2018 Sprint Car racing season. Steve Evans Country Sausage will join driver Jarett Andretti and the No. 18 team. The team will continue to compete in over 60 Sprint Car events throughout the country on the USAC National Sprint Car Series and at weekly Sprint Car tracks throughout the Midwest. Steve Evans Country Sausage was made after Evans found a faded piece of paper with an old recipe for genuine country sausage on it, written by his father, Bob Evans. The recipe dates back to the 1940’s, when Bob Evans made it for his first restaurant. Andretti is the 2014 USAC National Sprint Car Rookie of The Year. 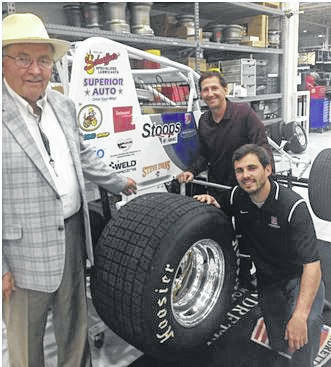 The article based upon a press release submitted on behalf of Andretti Autosport Short Track and Steve Evans County Sausage.